As we approach the start of Q4, CDM Media will be hosting a lineup of fantastic EMEA summits for attendees to take advantage of before the end of the year. We are bringing some of the top C-level executives in IT and security to discuss the industry’s current trends and challenges. The topics that will be discussed include digital transformation, AI, IoT, GDPR, blockchain, robotic process automation (RPA), and many more. Attendees are provided the unique opportunity to collaborate with likeminded C-suite thought-leaders to benchmark, knowledge-share and network. 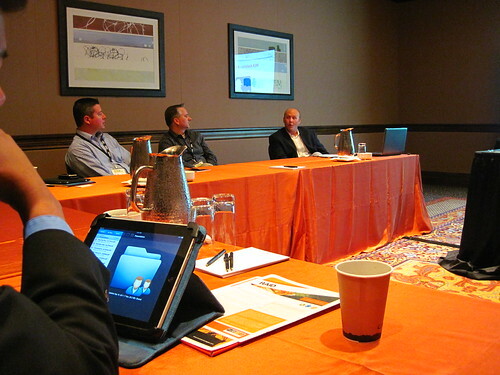 Closed-door and peer-led, CDM Media summits are the ideal environment for rich content and collaboration. CDM Media employees come from all over the world and from different educational backgrounds. We want to not only celebrate the diversity and successes within our company, but share them! We will be starting to highlight some of our team’s success stories, starting with Relationship Manager, Jamie! Q: What was your major in college? A: I double majored in Global Studies and Spanish at the University of Illinois. Q: Did you have a plan to go into sales? If not, would you say sales was a good move for you? A: I really didn’t plan on going into sales! While searching for jobs during my senior year, I was careful to find something that sounded like me on paper. I came across CDM Media, and while I did not have a background in B2B sales, I thought it seemed like a lot of fun. And I was right. The environment is fun and exciting, and there are new opportunities every day to grow as a salesperson. But more than anything, it’s been a fantastic learning experience. Not only have I learned about such an incredible and rapidly growing industry, but I’ve also developed numerous useful skills as a young, new professional. Q: How long have you been with CDM Media? What did you notice right away when you started? A: I’ve been with the company about 10 months. I started just two weeks after graduating! I quickly noticed everyone in the office is really helpful when you need it, which is great because I love to ask questions! Q: You just won a trip to Aspen through CDM Media – tell us about it! A: The Trip to Aspen was amazing! I got to bring a guest and we had a blast! We aren’t big skiers but loved spending time exploring downtown Aspen and trying out new restaurants. Aspen is so beautiful and so was the resort. It was such a nice, relaxing extended weekend! I felt privileged to have already won such an incredible trip! Interested in joining our team? Apply here. Being at an event isn’t enough. At CDM Media, we want participants and attendees to truly soak in information, their surroundings and absorb the forward-thinking ideas being presented to them. So what’s in our bag of tricks for helping keeping attendees engaged? We’re happy to share with you! 1. Keep presentations interactive: We love for our speakers, presenters and moderators to keep the attendees in the audience engaged by asking their opinions, ideas and current issues. 2. Brainstorm as a group: The presenter doesn’t have to be the only one sharing forward-thinking ideas at our sessions. We love for attendees from different companies to speak up and provide feedback, thoughts and brainstorm topics. 3. Keep things moving: Avoid downtime for attendees during sessions. Keep the sessions moving with conversation, debriefs and good transitional topics. 4. Break up the session-style: If you’re doing a PowerPoint presentation with one presenter, try mixing it up the next session so your attendees remain stimulated and help keep boredom at bay. Implementing 1-on-1 meetings helps change up the day, as well. 5. Know your audience: Keep the attendees in mind when creating your presentations and choose information that will be relevant and attention-catching for them. 6. Attention-grabbing graphics: We’ve learned from Dona Wong, author of Wall Street Journal Guide to Information Graphics: The Dos and Don’ts of Presenting Data, Facts and Figures, whether it’s choosing the best chart form for data, using colors gracefully or limiting the number of graphics per slide, be selective to maximize a lasting impression. Introducing Fitness in the Office! In an effort to promote employee wellness and productivity CDM Media has brought in four new exercise desks to be placed around the office. With the grey winter months among us, the CDM employees are encouraged to maintain their energy levels and focus by doing some light exercise on these new stationary bikes. The nudge to get healthier and more energetic comes from our CEO, Glenn Willis, who is hoping to establish a fit-friendly work environment. Grab your laptop, hop on and enjoy the ride, CDMers! To follow our office updates, be sure to like us on Facebook! IT Support guru, Bennett Baker, tests out one of the new four Fit Desks. Thanks to our Collaboration Sponsor Box.net, the CDM Media team is now utilizing a fleet of iPads at all of our CIO events, allowing attendees to be more interactive and more social! The iPads come equipped with social media apps, an event mobile app (more on this to come) and, of course, the Box app. Presentation files are shared with attendees via Box, allowing them to download, preview and share files while onsite and when they return to the office. All attending CIOs and IT executives receive a trial enterprise version of Box. In the below picture, Victor Perez, VP, Operations and Engineering, NBC Universal, utilizes the Box.net app during the CTO Telecom/CIO CME Summit. Also, be sure to check out the below video of the CTO Telecom/CIO CME Summit, which was shot entirely with an iPad. If you’d like to try out Box for business or personal use, get a free trial here. The team returned to Honolulu this week from a successful CIO Healthcare Summit in Scottsdale, Arizona, and we’d like to extend a special thank you to all of the delegates and sponsors who participated in the event! The CIO Executive Think-tank sessions, which were new to this year’s summit agenda, allowed executives to have candid conversations in a roundtable, sponsor-free environment. With no pre-determined discussion topics, executives were able to guide the conversation around the issues that were most important to them and their organizations. The next CIO Healthcare Summit will be held December 12-15, 2010. If you’re interested in participating in the event, please contact Nick Backhouse, Event Director, CIO Healthcare Summit at 808-694-3600 or nick.backhouse@cdmmedia.com. If you have time, read the latest industry news on the morning of the event. It will provide you with good icebreakers to use throughout the day. This article from the Harvard Business Review provides great tips on how to break into a group conversation gracefully. Write and practice targeted elevator speeches so that you can quickly and easily sum up your company’s products in 30 seconds or less. Targeted speeches ensure that you are addressing each individual’s interests. Stand out—in a tasteful, professional way. Wear something brightly colored, give compliments or perform a kind gesture. That way, when you connect with attendees outside of the event, they’ll be more apt to remember you and, perhaps, more open to having a conversation. Make sure the giveaways you hand out at the event speak to your audience. If you’re targeting nurses, print your company’s name on a watch or shoe inserts. Give universal charging hubs to technology professionals. While branded pens and stationary are useful and safe choice, sometimes it’s better to be unique. If you connected well with a potential buyer, consider sending them a hand written note instead of an email. Send it out on the last day of the event so it’s waiting on his/her desk when he/she returns to the office. If you’re involved in social media, connect with the individuals you meet within a few days of the event. This opens up another channel of communication. What event marketing techniques do you use? Share them below! Customize your Twitter background for better branding and to let your readers know where else they can find you or your company. Use Twitter as a microblog to send out information and links to sites that are of interest to your audience, as opposed to letting them know what you’re doing. Create a custom landing page on your Web site for people who click on the link in your Twitter profile. Let them know how following your Twitter account will benefit them and what other social media sites they can find you on. Automate some tweets to save time, such as those about new blog posts, but spend time each day responding to direct messages, retweeting, having conversations with your followers, etc. However, do not auto follow or auto message new followers. Know and understand your audience, and use this information to produce quality posts that they are interested in. Engage your readers and ask them what they want to read more about. If someone leaves a comment, respond to it. Remember to use SEO words in your title and content. Be honest, engaging, and transparent, as well as continually active. Be consistent in your branding, tone and voice. Create a monthly editorial calendar, but make sure it’s flexible so that you can respond to recent events. Did I miss anything? What social media advice do you follow? Allow me to introduce the CIO Content Development Committee! The CIO Content Development Committee plays a critical role in determining the topics that are discussed at the CIO Finance Summit. An end-user driven agenda ensures that all CIO and technology executive attendees will get critical information from the event’s panel discussions, workshops, and case studies. So, a big welcome and thank you to all of this year’s CIO Finance Summit Content Development Committee members. We’re looking forward to a great event! For more information about the technology event, go to the CIO Finance Summit site. For more information about the committee, check out the CIO Content Development Committee flyer or the latest press release. According to a recent Weber Shandwick study, “CEO participation at top-tier events nearly doubled since 2007.” Participation by CIOs and other C-level executives increased 40 percent since the same year. The study looked at the number of CEO and C-suite participants from the top 50 most admired companies, as named by Fortune, at 22 conferences. While this increase was mainly attributed to CEOs from the financial sector, it is still telling that, even during an economic downturn, executives are making a point to distribute content, give presentations and network with their peers. In other words, they are working to keep their company visible among their colleagues. In addition, executives are also becoming more visible to the public via social networking sites. According to a recent NFI Research study, executives are embracing LinkedIn, blogs and Facebook for business purposes. In fact, 86 percent of surveyed executives from large companies were utilizing LinkedIn. As we enter into 2010, one can only assume that this trend towards increased visibility will continue as markets are tighter and more competitive, and there is less money to go around. What events will you be participating in during 2010?